I guarantee these are 100% true and tested authentic humans. No giant mechanical death machines here! RHB on Steam, 1st August 2018! It’s so close I can taste it on my organic human lips. Tastes a bit like raw spaghetti, or the taste we all feel when opening a window on a hot summer night. Puts me in the mood for wishlisting! Here is a free game! We did it! We make our silly basketball game in two weeks, and now we’ve packaged it up and it’s ready to play! 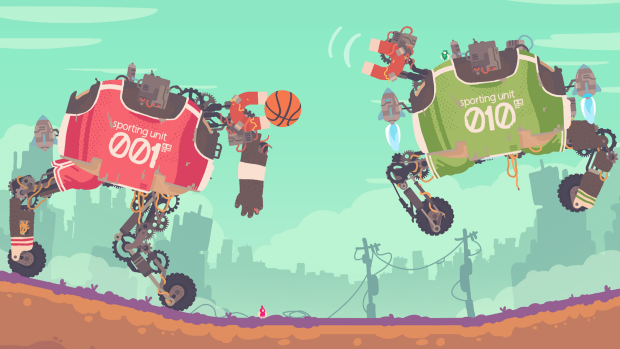 It’s local multiplayer, for 2-10 players, and it really is an explosively ordinary game of basketball, with absolutely nothing weird going on and DEFINITELY no giant robotic death machines! Working on one big project for years can be exhausting, so we thought we’d freshen ourselves up with a little game jam! We took two weeks off and made a completely stupid little multiplayer basketball game. It’s called “Regular Human Basketball” and really the name says it all. 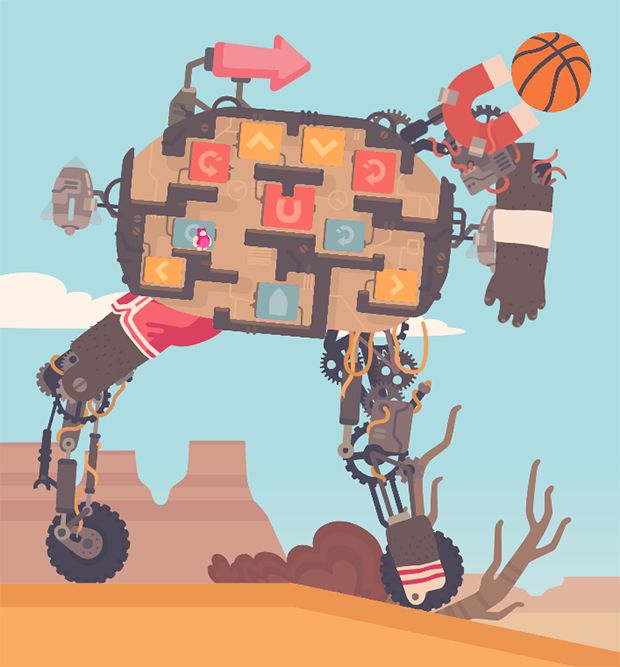 You play basketball and are a regular human, definitely not a giant mechanical death machine! We’ll be releasing it for free later in the week.